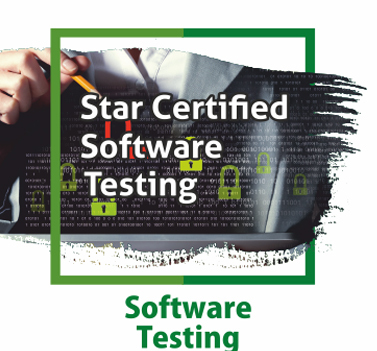 Star Software Testing Certification is a certification program developed by Star Certification. This program teaches you the fundamental concepts of the testing and its principles. It also teaches you how the Testing is linked to Software Development Life Cycle. This Certification Program also teaches you about different Testing Techniques such as static and dynamic. You will learn to define test cases and how the same impact your testing. This course also talks about different testing tools available in the market be it commercial or open source for Web, Desktop and Mobile applications. Towards the end. We will discuss about the Agile software testing process. Concepts and Principles related to testing the application. Testing Tools and Automation Testing. using different tools available for Web, Desktop and Mobile Testing. Create Test Cases and (generate) Test Reports. Implementing Testing on Multiple tools. Implementing Testing Techniques in your job and be a Testing Expert. Describing the Essentials of Software Testing. Explaining Testing and Software Life Cycle. Describing the Quick Test Professional. Describing the Open Source Testing tools.